In 2011, The Watermill Center and ArteEast partnered to launch an annual residency supporting the development of a new work by artists based in the Middle East and North Africa. The residency is accompanied by an artist talk with the community about the work done in residence. The 2011/2012 ArteEast artist was Abbas Akhavan. 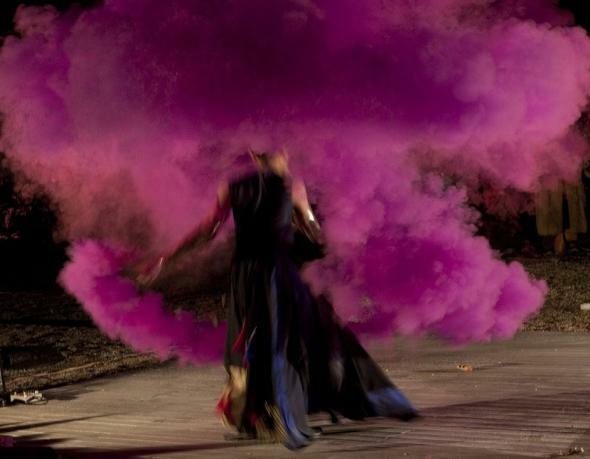 Arteeast is proud to announce that the partnership will be included in one of the Spring 2013 Residency slots (January - June 2013) at The Watermill Center and Deadline for applicants is June 1, 2012.
Who Can Apply? Artists, art practitioners and institutions based or active in the Middle East and North Africa are invited to apply for the opportunity to participate in a residency program at Watermill Center. Eligible participants are citizens and/or residents of the following countries: Algeria, Bahrain, Egypt, Iraq, Iran, Jordan, Kuwait, Lebanon, Morocco, Oman, Palestine, Qatar, Saudi Arabia, Sudan, Syria, Tunisia, Turkey, United Arab Emirates, Yemen. Artists interested in applying should visit and select the ArteEast Partnership : Spring 2013 Residency Program. Artists will be selected by The Watermill Center Selection Committee as well as by members of the ArteEast staff.